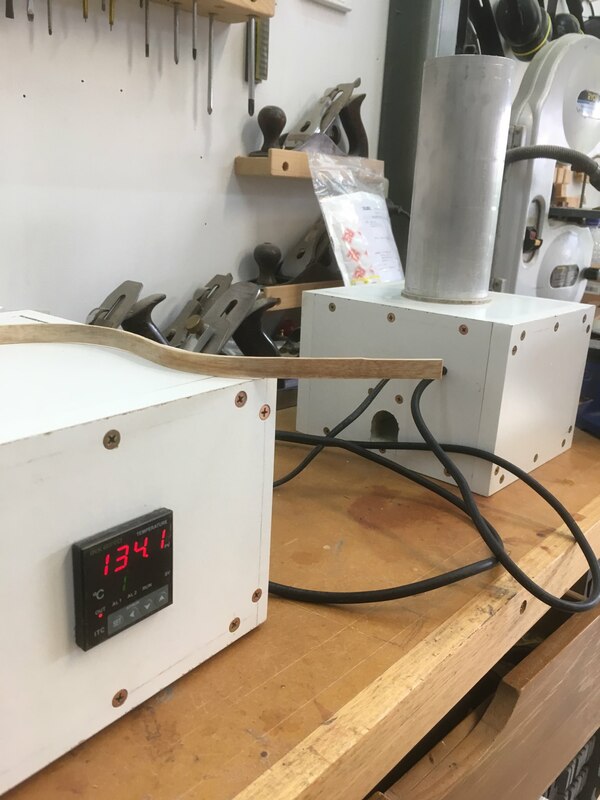 I have finished making a bending iron with a PID controller and I will attempt a small bodied guitar/ukulele to start with. 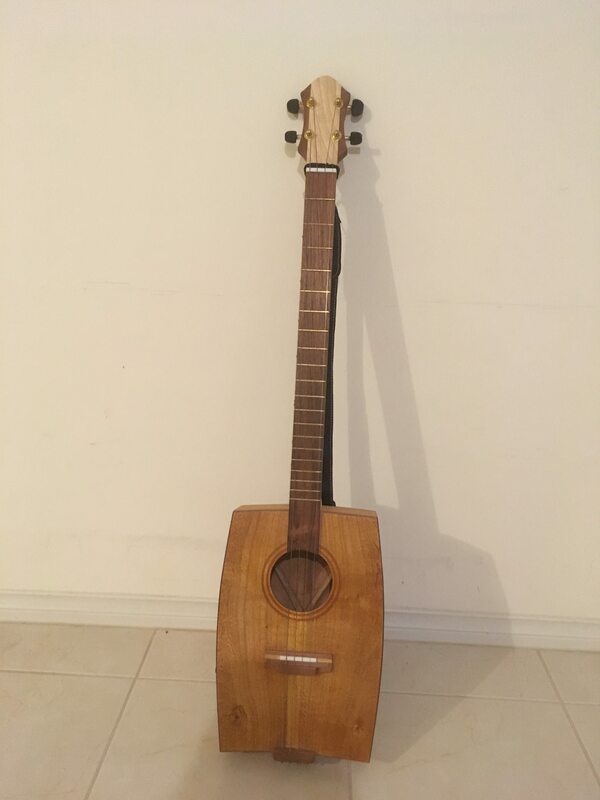 Guitar consists of Silky Oak, Huon Pine, Claret Ash and an unknown hardwood for the fretboard. I logged and milled the Silky Oak and Claret Ash with a chainsaw mill, I have some Blackwood drying at the moment too. I have just finished with installation of my dust extraction too, makes a world of difference to my health and working in the shed. I think I will enjoy the experience sliding into the black hole! 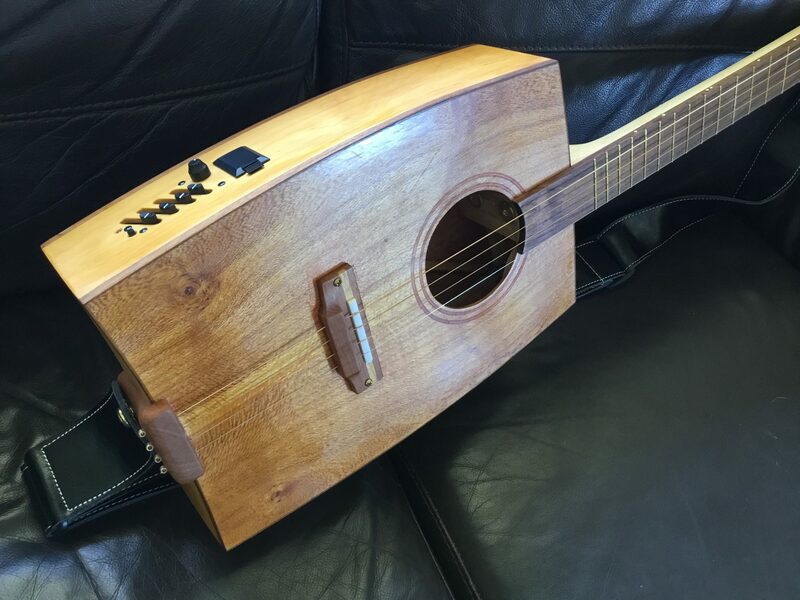 Welcome to the forum Cal and thanks for putting up the pics of your build and the workshop. 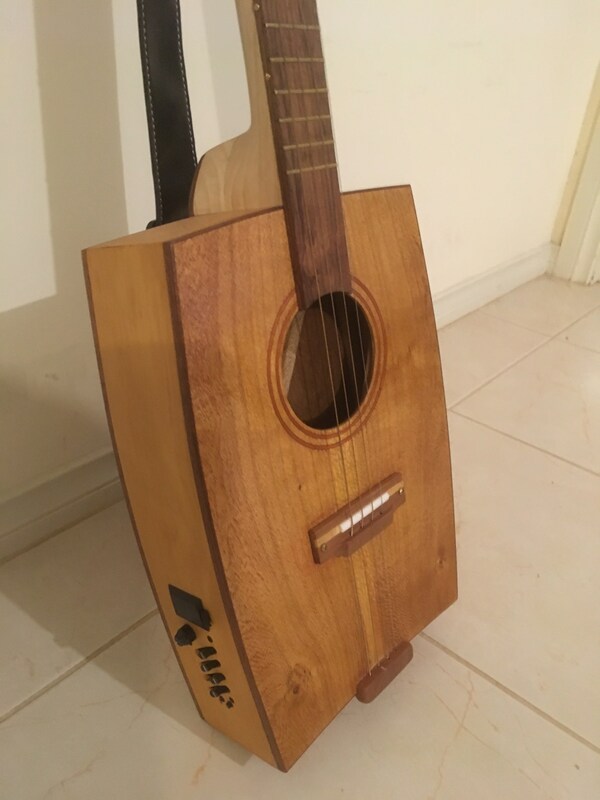 I have started a couple of ukuleles, one of my daughters designed it and wants an electric ukulele. I thought I may as well do two at once. Camphor Laurel. Wow, what a great worshop! Is anyone else seeing the pics in Cals posts upside or is it just me?...or is everyone else just too polite to say anything? Easy done, I work up at Aldgate! Aldgate Pump then..unless that's where you work!! Yep, that would be great either way. No don’t work there, I ride around on a scooter with a flappy yellow flag on the back! Aha! An honourable profession. The day I moved into my house back in 1990 the Postie stuffed some letters in my mailbox, parked his bike at the bottom of my driveway and helped me lug a bed frame up to the house....that's what I call service! I've probably passed you while out on my daily walk from Stirling to Aldgate and back. We'll definitely have to catch up for a chat. Yep, for sure. It would be great to meet you. Wednesday afternoons are best as I have school pickup other days during the week. Next Wednesday is out, sorry the only one that is pre booked with a dog bath! But the one after should be fine. Is anyone else seeing the pics in Cals posts upside or is it just me? Thank God for that..I thought it was just me. *For me* the first post from Cal pics were the right-way-up, but all subsequent posts from Cal the pics have appeared to be upside-down. Images are fine from this side of the globe! Hey Martin, is that called an iMupsidedown?